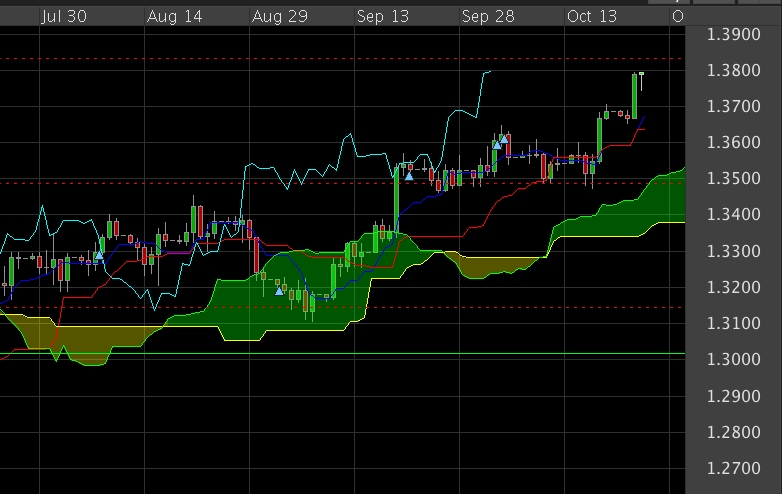 Entering a trade inside a kumo, betting that the cloud won’t break. This is what I think while I opened the trade in EURUSD. It has proven to be an effective strategy. As you know, a flat line in a kumo cloud means a strong resistance. While I also drew my own resistance lines, Ichimoku confirmed that it indeed has a high probability that it will not break. So I bet more. The resistance at 1.3500 is a dead giveaway for me. Look at the candlesticks lining up in a straight line. That’s another opportunity to add more position from the profit I had on the first to trades near 1.33 and 1.32. Indeed. But I’ll be careful. We don’t know how far it’ll go down.